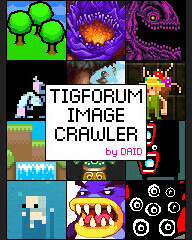 TIGSource » TIGArchive » Oh, Curly~! 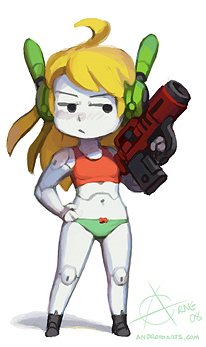 An article in The Escapist reveals that the Cave Story Wii team is aiming for an April release of the game. Nicalis is interested in adding DLC to the game in the months following the release, possibly including a Boss Rush Mode and other fan-requested modes. But this post was mostly an excuse to post the epic Cave Story Anthem video that Annabelle Kennedy made, as well as the Curly Brace fan art by Niklas “Arne” Jansson. wow Annabelle, that video was awesome, was that your synthetized voice? or are you a robot too? Thank you for finding an excuse to post that epic anthem. Great work, Annabelle. That was a Vocaloid doing the singing. Miku, I believe. Awesome! I think the voice is actually Hatsune Miku. So many variations of the same phonetic. yeah, I’d love to know how that voice was made, it’s pretty awesome! Pretty sure it’s a vocoder. Also, pretty sure it’s fuckyeah awesome. Sounds like vocoder to me, yeah. Autotune may be involved. Don’t you see? Annabelle IS Hatsune Miku! Sorry, song was awful. Awful voice, too. I’m sorry you didn’t like it Leroy.. I hope i do better next time! And the Vocaloid I used wasnt Miku, i used Luka. Boss rush and bonus modes are going to be DLC? I was hoping that they would be bundled into the Cave Story ExperienceÂ© and not added after the fact. In fact, wasn’t there some kind of vague mention that the Wii mode would be the base game with better music, better graphics, and That Little Bit Extra? That was a lot of fun. Nice job, Annabelle! Vocaloid is a TTS synthesis program that can simulate singing. You basically type what you want it to say, and give it the notes to sing. It’s available in several voices, including anime voices as well. You can tell Ms. Vocaloid is Japanese. She turned “the” into “za”. The video and Niklas’ Curly are awesome. thanks to everyone for identifying vocaloid! Ugh. You can’t get any more obnoxious than vocaloid music. I think the video is *perfect* – at once majestic and heartwrenching. The imperfections of the Vocaloid song are essential in setting the mood. Super job! I mean, “we have to go the ex-tra mile” brings me somewhat close to tears.